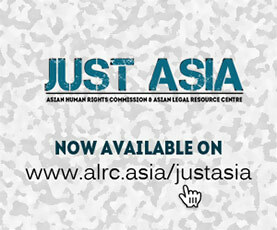 The latest presentation by the Asian Human Rights Commission is on the need for training of the civil society for campaigning for institutional reforms, including police reform in Sri Lanka. The presenter is Basil Fernando — Director Policy & Programme Development. The presentation deals with the difficulties faced by the people due to the undermining of the judiciary by the government. The extreme executive pressures working on the judiciary virtually prevents the possibility of obtaining legal redress through the courts. Civil society organisations in Sri Lanka are used to the age-old habit of resorting to the courts to resolve grievances. However, the possibility of such redress virtually does not exist. Civil society needs a change in their mindset if they are to respond to the changes in the ground reality. Actions like the fundamental rights are not of much use anymore in dealing with the abuse of power by the police. The courts show unwillingness to deal with such applications for redress, due to many political compulsions. Under these circumstances, civil society organisations need to give priority for advocacy for reforms. However, such advocacy requires an understanding of a reform-related approach and also skills for such advocacy. In this presentation all these aspects are discussed in detail.